Posted by avartanPosted on March 31, 2017 May 23, 2017 Posted In : Post SliderLeave a comment on Avartan Slider coming with Post Slider Support !!! Hey, we are very happy to announce that Avartan Slider will support Post Slider with V1.7 now, which will be released on 5th April, 2017. Yes, post slider which will give you platform to beautify your website by using your post. So without wasting your time, let’s move on to post slider’s core features. Avartan Slider supports Default (Choose post type one/multiple) and Specific Posts (post ids). All types of categories, tags, taxonomy will be supported and add specific category/tag (or multiple categories/tags) of your choice. Post ID’s should be put as comma separator in specific post field. Sort your post by ID, title, slug, author, etc. Display your post in Ascending or Descending order. Limit the amount of posts that will get pulled into the slider. You can set expert character limit globally for all post. Now its easy to design slide for post slider. We have 10+ Default Presets to design your slide for post. A “slide” for a Post-Based slider is a template that will be used for how your post’s content will be displayed. Only one template is required, meaning only one “slide” needs to be setup. 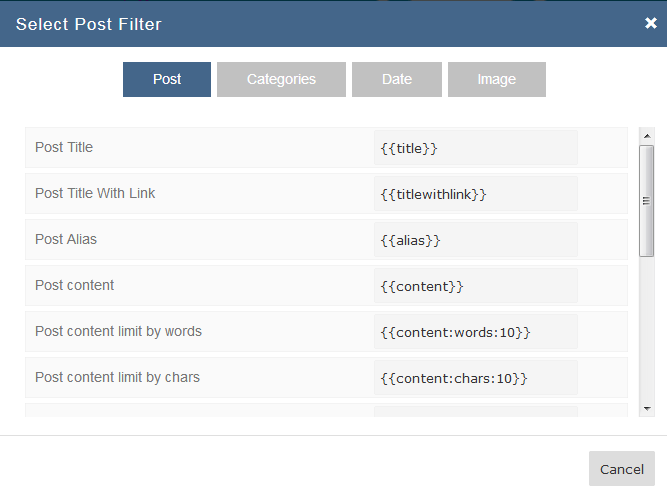 Post Filter Library which will be categories by 4 parameters. Post Data: Shortcode for basic post like content, post link, author name, post title, post format, etc. Categories: Shortcode for post categories, tags and custom taxonomy, etc. Date: Shortcode for post created date, updated date, full year, month name, short year, etc. Image: Shortcode for post featured image original size, featured thumbnail image, featured medium image, etc. To make your work easy with selecting preset. So, You can choose your favorite preset for post slider design and save it. Then you will get fantastic post slider without any slide design which will save your valuable time. Avartan Slider is continuously updating new features with exciting advantages. 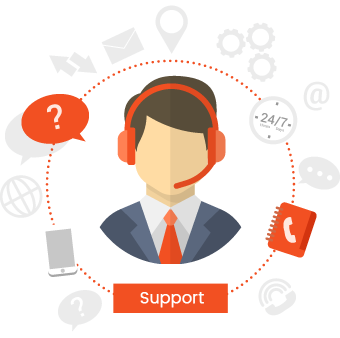 So hurry up and Buy Avartan Slider for your website. Enjoy!